"This drink is a real treat on hot days! Its blend of fresh bananas, pineapple juice, coconut and rum is fantastic! The bananas in this recipe need to be frozen before use. You may want to vary the amount of rum according to your taste." 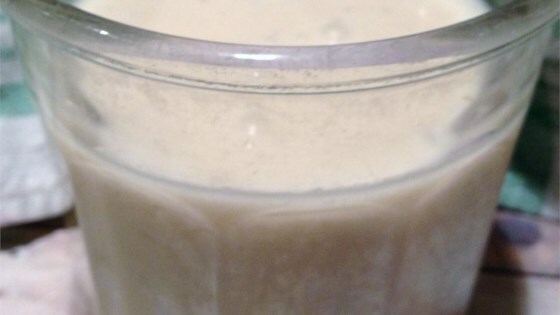 In an electric blender, combine bananas, pineapple juice, cream of coconut and rum. Blend until the mixture reaches your desired consistency. Watch a professional bartender mix a refreshing rum and watermelon cocktail. This recipe is truly delicious. My 2-year-old and 5-year-old loved it also. That in itself is a major achievement! This recipe was the bomb!! I used Malibu coconut rum instead (and added extra)...me and my friends were fighting over the last drops. If it's too thick, add more rum!!! This is a nice drink, you feel like you are on a holiday when you drink it!!! (only wish).